Far from being only a background for other elements of decor, sometimes walls become the story. 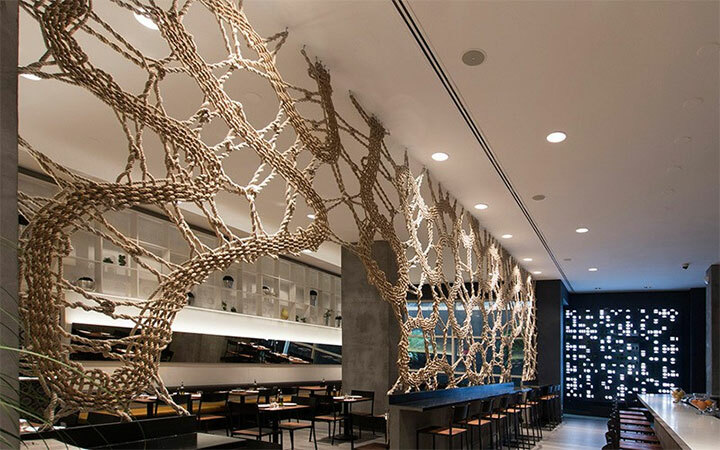 Reinventing the concept by using unexpected materials, shapes or details, designers can turn walls into more than just functional architectural components. Here are, for instance, the walls designed by Presledek, a Ljubljana-based Slovenian architecture and design office. Intended to guide visitors through a large exposition, these floating walls are made with black thread stretched on a thin solid brass structure. Unlike those in a typical museum, where the next room is always a mystery, these walls do not cut off the visitors for the rest of the exposition. At the same time, this delicate structure ensures that the visitors approach all the important objects in the collection. 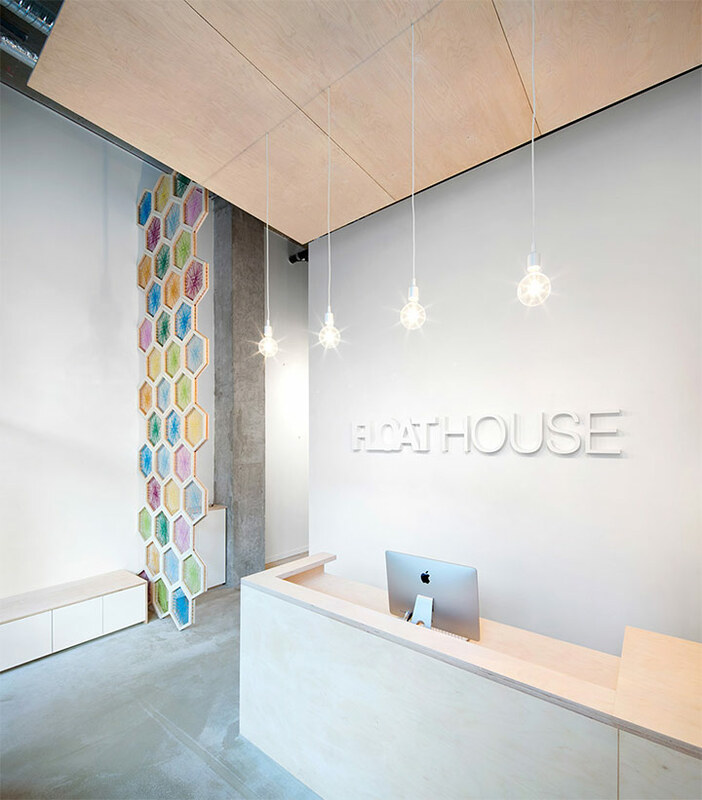 Thread is used on a smaller scale yet with ingenuity in the Float House of Vancouver. 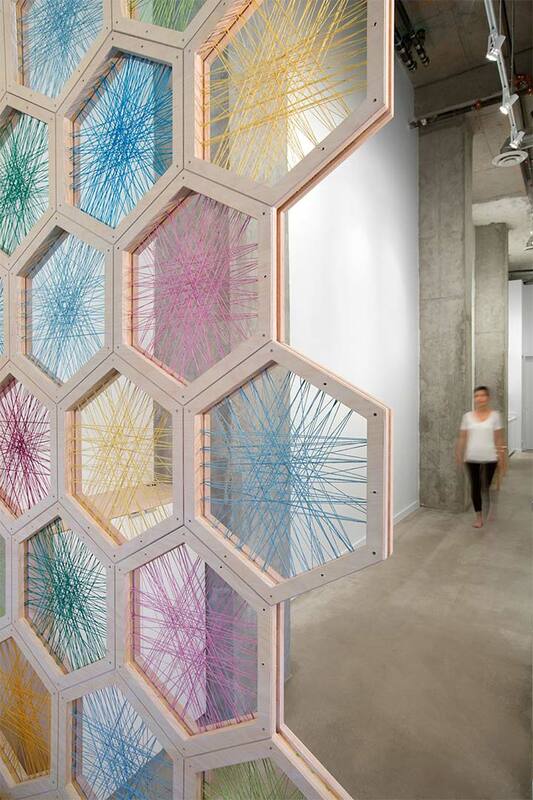 Designed by the Office of Mcfarlane Biggar architects + designers, the space includes a 17-foot tall screen made of birch wood hexagons completed with colorful strings of hemp twine. The screen achieves multiple purposes. It serves as a divider, yet does not break the flow of the space. It adds just a touch of color to an otherwise simple and modern space without demanding all the attention. It gives the space an illusion of transparency. Finally, it brings in the surprise element that every interior needs. 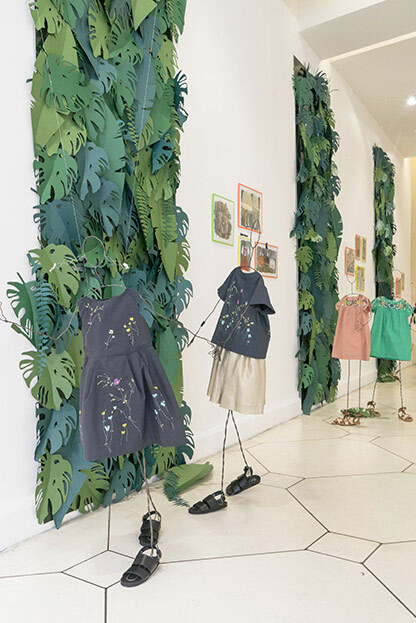 As a background for the Bonpoint 2016 summer clothing collection, this Havana-inspired decor in Paris, France, includes a wall of luxurious tropical leaves. Breaking up the white space of the wall, the vertical leaf display takes it from a two-dimensional to a three-dimensional element that infuses the interior with life, yet remains simple and fresh. 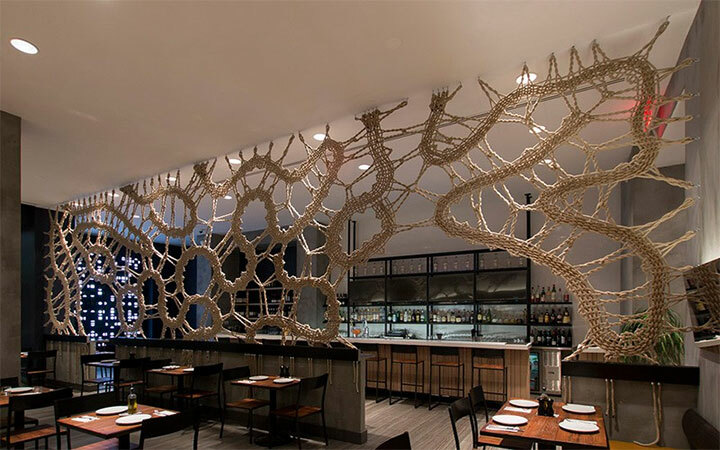 Serving as a divider between the bar and the dining area of the Stix (a Mediterranean restaurant in Chelsea, New York), a large “lace” screen calls to mind a seaman’s rope and the round, appealing shape of grapes and olives. 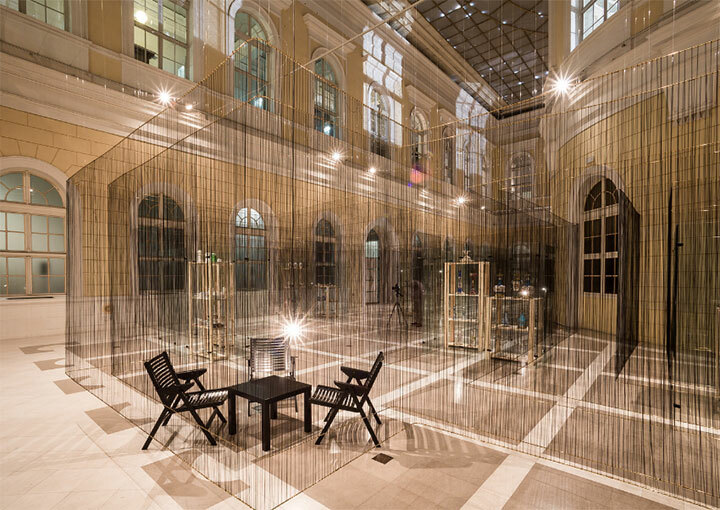 Designed by Mantzalin (who builds on the structure of bobbin lace to achieve architectural and decorative wonders), and perfectly pinpointing the character of the place, the screen achieves its functional role while giving the space a unique, unmistakable vibe. Finally, created by Valérie Boy, an artist in Nantes, France, metal walls with flower cutouts become a three-dimensional work of art. 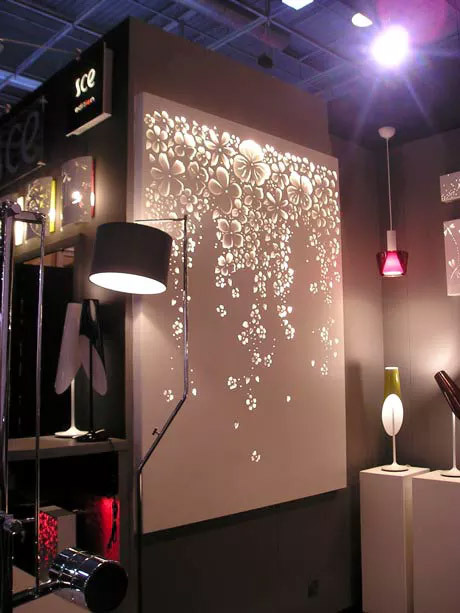 Enhanced by light, they turn the space into a dreamland by night, and add dimension and graceful beauty to an interior during the day.